In 1958 Charles J. Wendorf was in his final year at Duke University. He had worked his way through Duke as a “chow man,” hawking late-night snacks from a push cart. Every week-day night at about 10 o’clock he would shout beneath the campus clock tower, “Chow man, chow man, roast beef, brownies!” The students who lived within hearing distance welcomed Charlie’s call. They flocked to him, eager for those roast-beef sandwiches. Charlie was the ultimate “good guy.” He was also in Air Force ROTC and in Beta Theta Pi fraternity. The Betas were his best customers. Those who knew him knew he was special. Eight years later, on January 16, 1966, a B-52 carrying four hydrogen bombs took off from Seymour Johnson Air Force Base in Goldsboro, North Carolina. 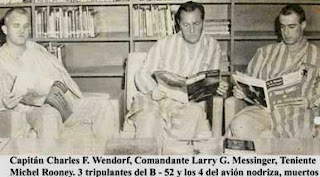 The eight-engine bomber’s command pilot was Captain Charles James Wendorf. This was, in those days, a routine mission. These missions were flown by the Strategic Air Command as a hedge against missile attack by the USSR. The conventional wisdom during this truly Cold War period was to let the USSR know that the USA would be able to retaliate even in the event of surprise attack on American forces. So, it was up to the B-52’s to be close enough to the Soviet Union to deliver their bombs quickly in a response to any attack on the United States. Captain Wendorf had flown these missions about 50 times. These flights were long, very long. They required two mid-air refuelings. These operations were done more than 30,000 feet above Spain, first when the B-52 made it across the Atlantic Ocean from Goldsboro and again when the B-52 was returning to base. On January 17, 1966, Captain Wendorf and his six-man crew were on their way home, having completed their time in a combat-ready orbit. Before starting its westward leg across the Atlantic, the B-52 had to hook up for the second time with a tanker high above the Spanish coast. 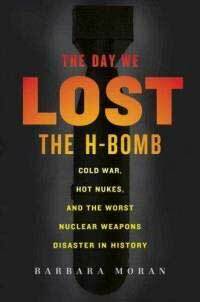 What happened next became an international sensation, spawning investigations, TV documentaries, countless articles and a book: The Day We Lost the H-Bomb by Barbara Moran published in 2009. On the 18th of May 2011, more than 45 years after the fateful day, more than 30 of Captain Wendorf’s Duke fraternity brothers along with their wives and friends gathered for a reunion at Lake Lure, North Carolina. The group assembled in a small conference room at a lodge overlooking the water. A long table dominated the room. At one end of the table stood Captain Wendorf and his wife Betty. On the table was a highly polished wooden model of a B-52. The wall behind the Wendorfs was covered with a large picture of the Wendorf family and pictures of B-52’s. The room was packed. Every person wanted to hear what the Chow Man had to say. Betty spoke first at the reunion. 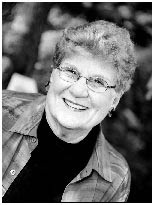 On the morning of January 16, 1966, Betty told her husband that she had a bad feeling about the mission, asking him to get out of it. Captain Wendorf brushed her off, saying she knew he had to go. 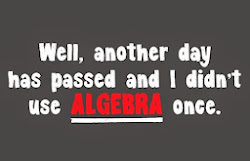 Go, he did. It was a “wild blue yonder” thing. So, he left his wife and three children that Sunday to do his duty. According to Captain Wendorf, the flight went well. First, the plane left Goldsboro and headed west. After making sure the B-52 and its stuff were working properly, Captain Wendorf turned the plane around and headed east. 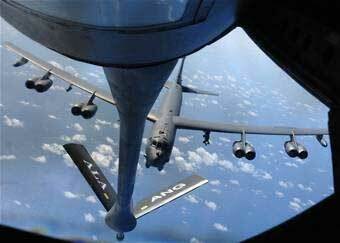 Once across the Atlantic, the B-52 hooked up with a KC-135 tanker. 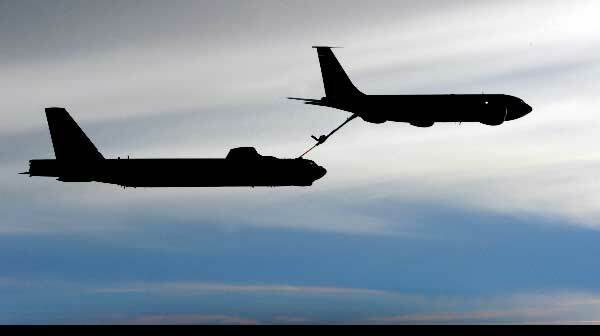 The refueling was done without incident. 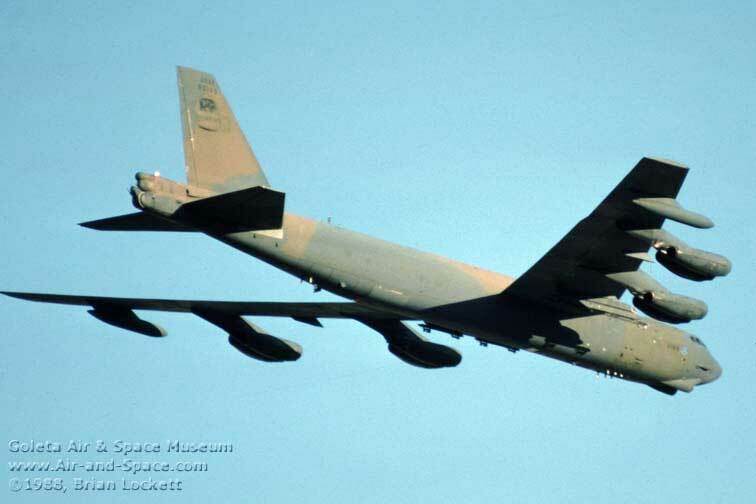 Thereafter, the B-52 began its patrol pattern. Captain Wendorf said things were going well on the way back to Goldsboro. They spotted the tanker over Spain at the right place and the right time. He was not actually flying the plane at the time, having relinquished the controls to another pilot which was common practice on these long flights. As the B-52 eased its way toward the refueling boom, everything looked good, Wendorf told his fraternity brothers. The tanker’s boom operator said nothing, another sign that the planes were in line. Suddenly, the B-52 began to shake. The plane became uncontrollable. 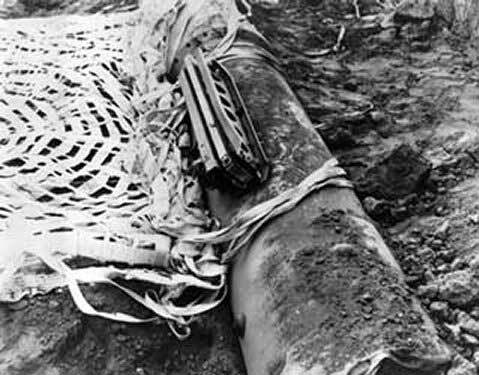 Its nose lurched upward and the B-52 collided with the tanker. The two big planes tumbled from the Spanish sky. The tanker exploded, killing all hands. 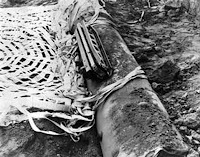 The B-52 began to break apart. Captain Wendorf was stunned but managed to eject from the plane. He was pulled from the Mediterranean Sea by Spanish fishermen. 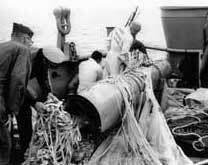 Some of his crew were not so fortunate. Three did not survive. The four H-Bombs managed to get out of the plane. Their parachutes opened just as programmed. Three hit the ground, landing in tomato farms near the Spanish coast. The fourth one, which is the star of Barbara Moran’s book, plunked into the Mediterranean Sea. At first U. S. officials were unsure of No. 4’s location. Ultimately, No. 4 was found resting comfortably under its parachute 2,000 feet below the surface. Captain Wendorf is now Lt.Col. Wendorf, having retired from the Air Force after more than 20 years of service. He got a broken arm when he ejected from his B-52. Today he and Betty live in Nauvoo, Illinois. They have been married for 53 years.